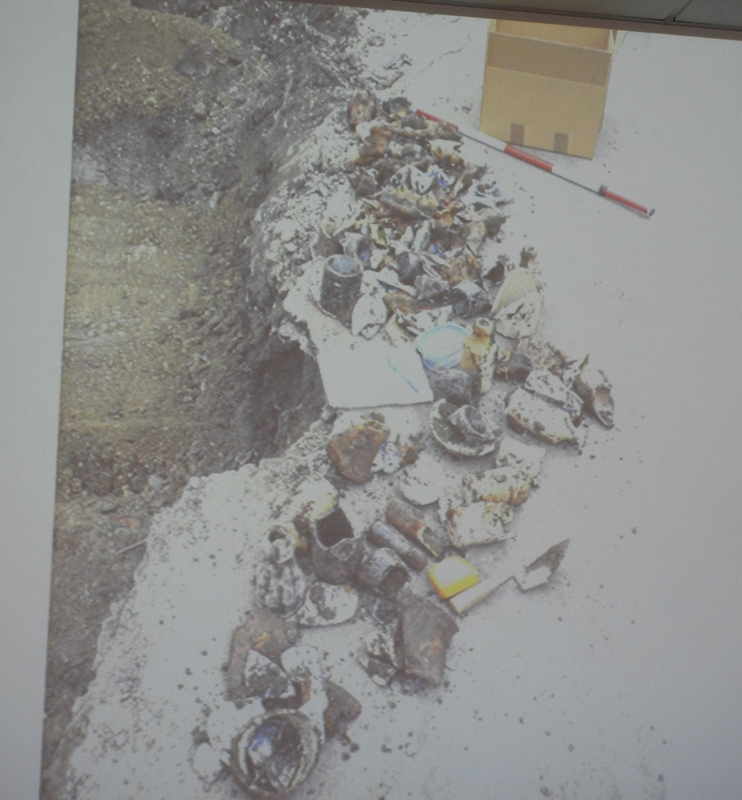 Nelson’s resident archaeologist was our guest speaker on Tuesday 1st April. Amanda Young, who works under contract mainly to local authorities, spoke to our members about her work. 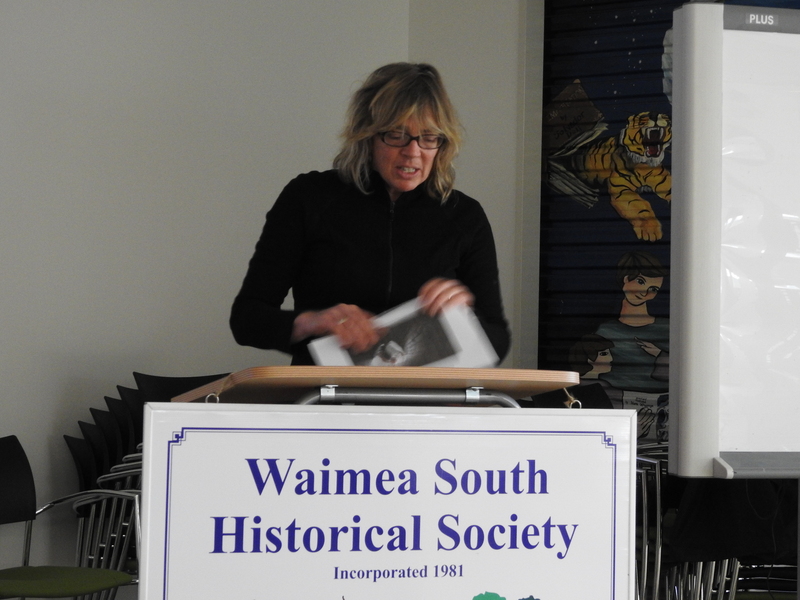 Amanda Young, Nelson’s archaeologist, begins her address. 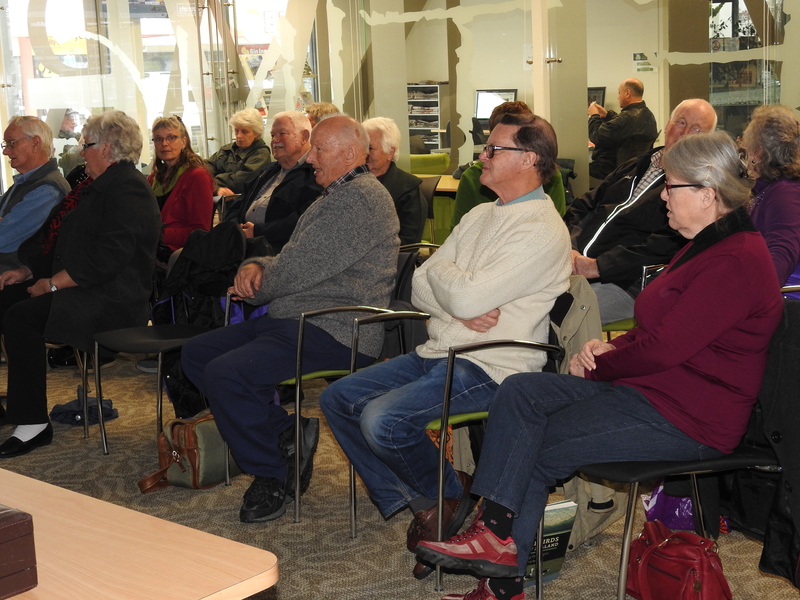 Our audience were intent listeners. 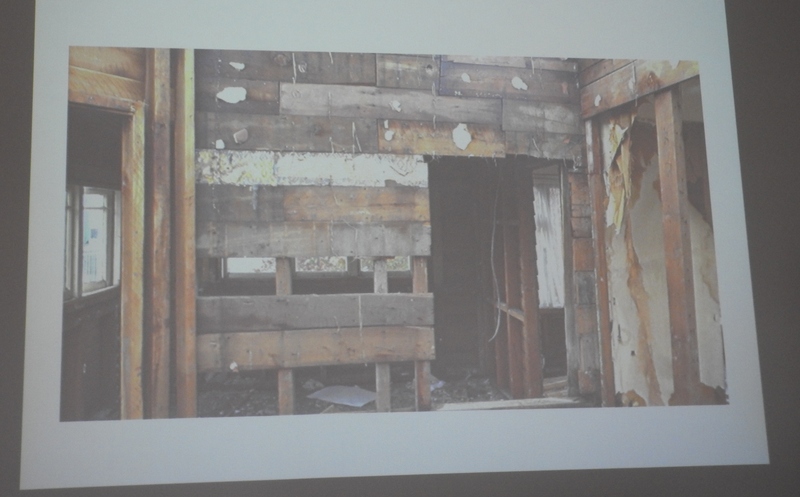 She used some “digs” she has been involved in to illustrate her remarks and in the process dispelled a few myths about demolition companies and logging contractors. Her work is governed by three acts of parliament: Heritage NZ Act 2014, Resource Management Act 1991 and the Protected Objects Act 1975. 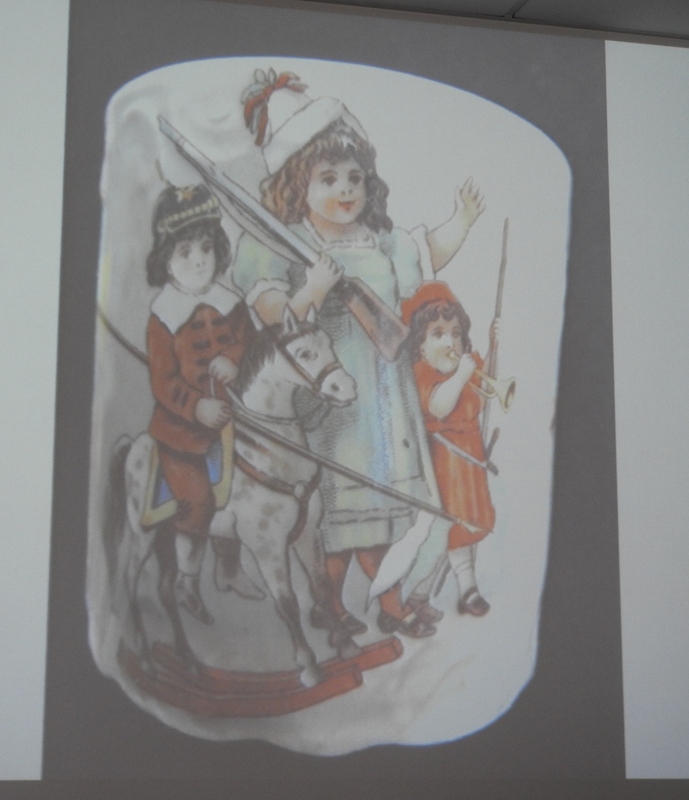 She explained the process by which the ownership of precious artifacts is determined, the role of the Maori Land Court in this and how Europeans can be granted guardianship rights. 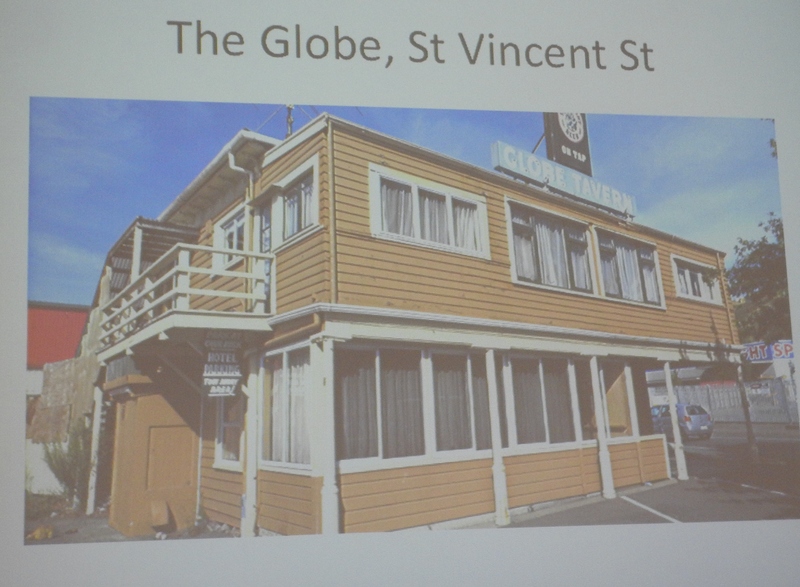 The Globe Hotel revealed its additions and alterations when the outer walls were stripped away. Wooden sarking had been re-used on interior walls of the Globe. Contrary to common beliefs sometimes demolition companies tried to steer owners away from wholesale demolition when they uncovered exceptional workmanship and instead would advocate earthquake strengthening. Demolition was not always the least expensive option. Logging companies were sometimes required to preserve historical tracks through plantations and they generally took care to do this. 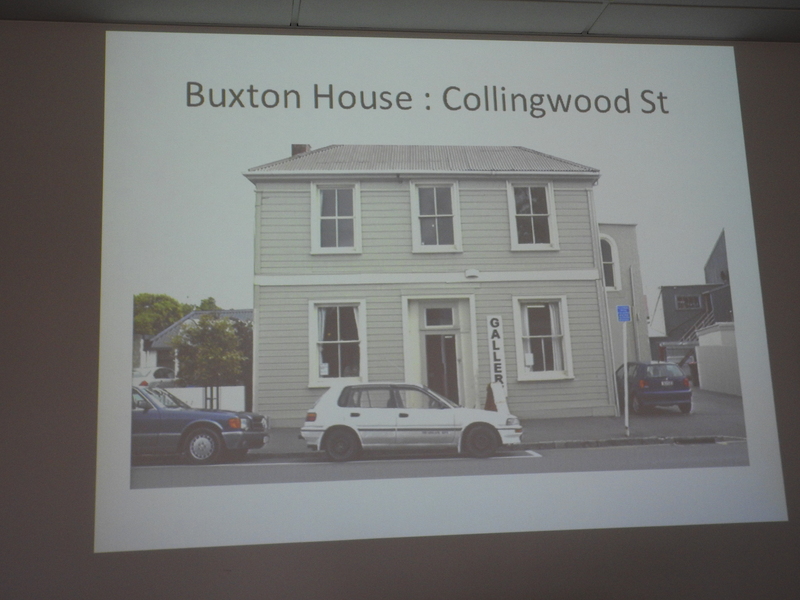 The Buxton house in Collingwood street could not be saved or re-sited. Rubbish dumped under the floor of the Buxton house. 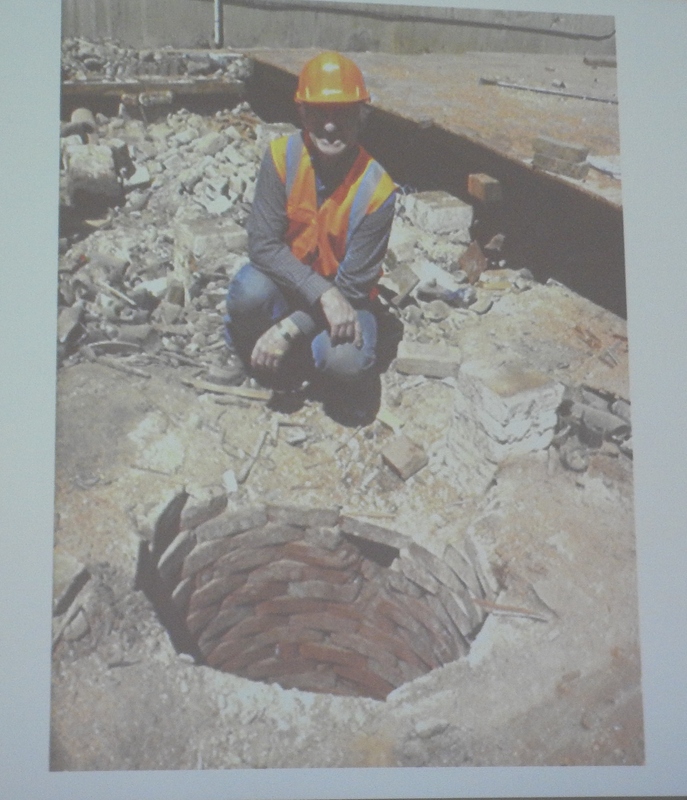 Rob Packer beside the brick lined well under the Buxton house. hands of preservationists but had placed more power in the hands of the landowners. Sometimes buildings couldn’t be saved because the local authorities by-laws were not sufficiently robust to prevent wholesale destruction and she urged people to take notice of when amendments or additions were being made in this area and to have their say if they wanted European buildings in particular to be preserved. A transfer printed mug which miraculously survived intact under the foundations. 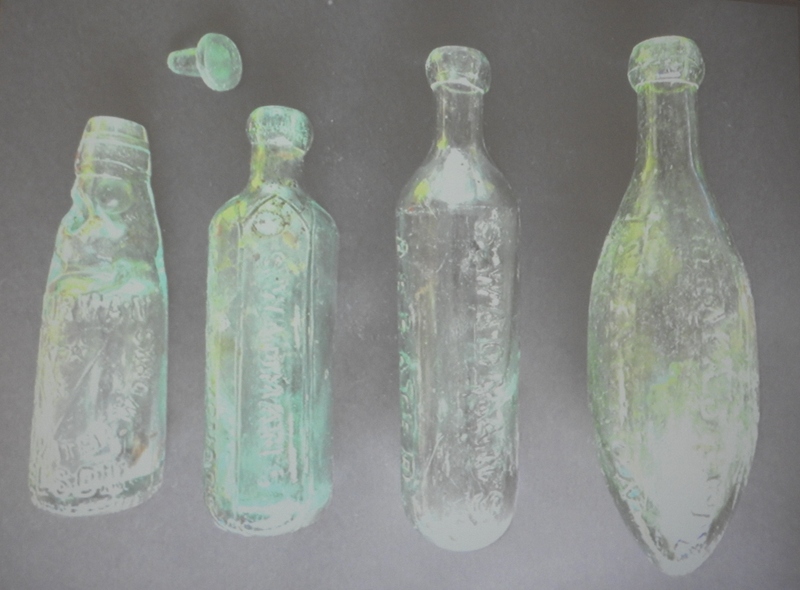 A range of old bottles – a common find – especially next to a pub. 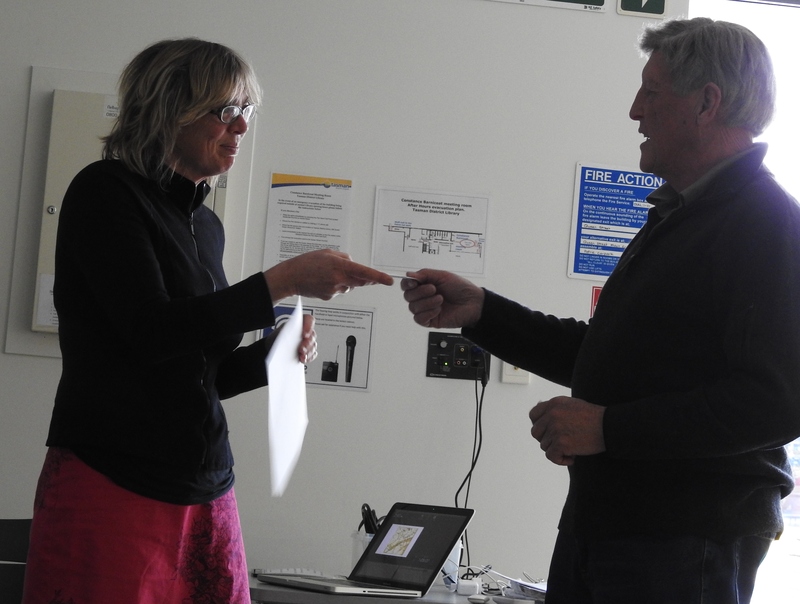 Vice President Wayne Price presents Amanda with a parting gift. Amanda proved to be an interesting, fluent and enjoyable speaker who easily kept her audience involved for an hour. We plan to ask her to speak to us again next year about more of her work.